Non-GMO Natural Soy - Spiru-Tein is scientifically formulated with isolated soy protein from only non-genetically modified (non-GMO) soybeans-As Nature Intended. 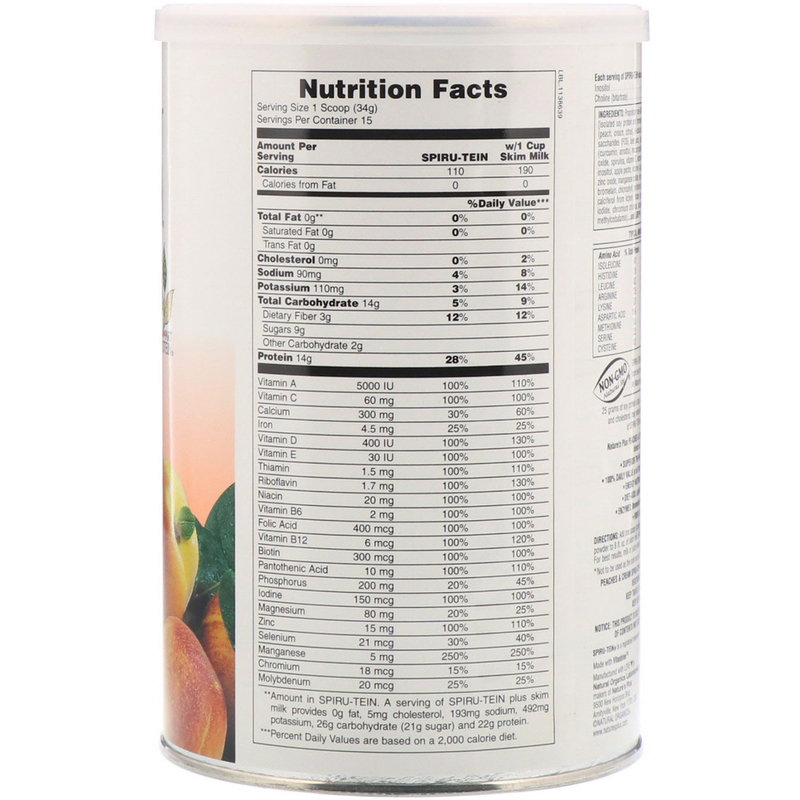 Add one scoop (scoop included in can) of Peaches & Cream Spiru-Tein Powder to 8 fl oz of skim milk, whole milk, or juice, and mix (or shake) until smooth. For best results, milk or juice should be very cold. 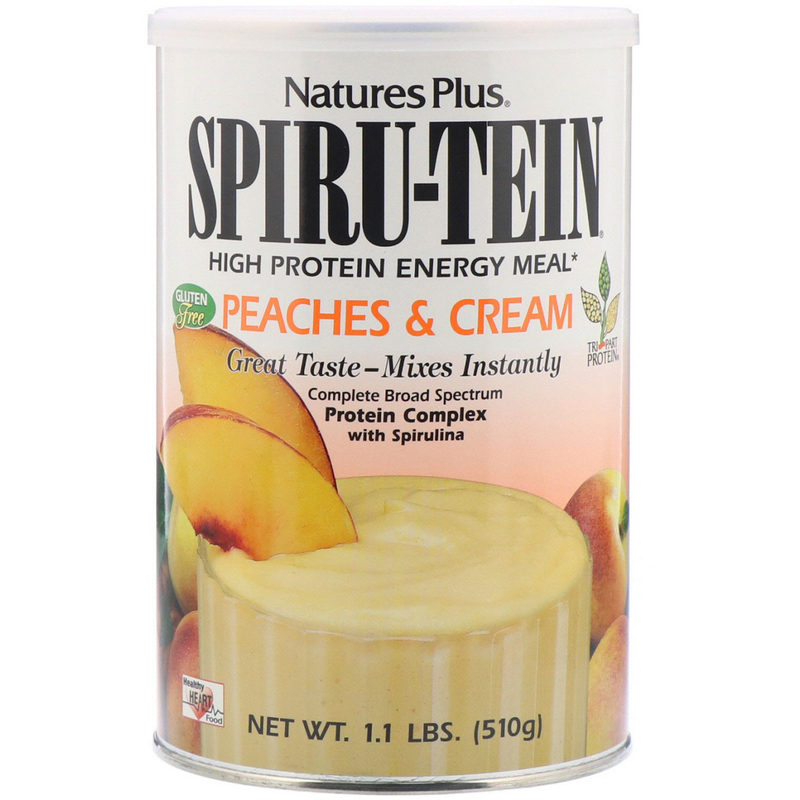 Peaches & Cream Spiru-Tein mixes instantly-no blender required. **Amount in Spiru-Tein. 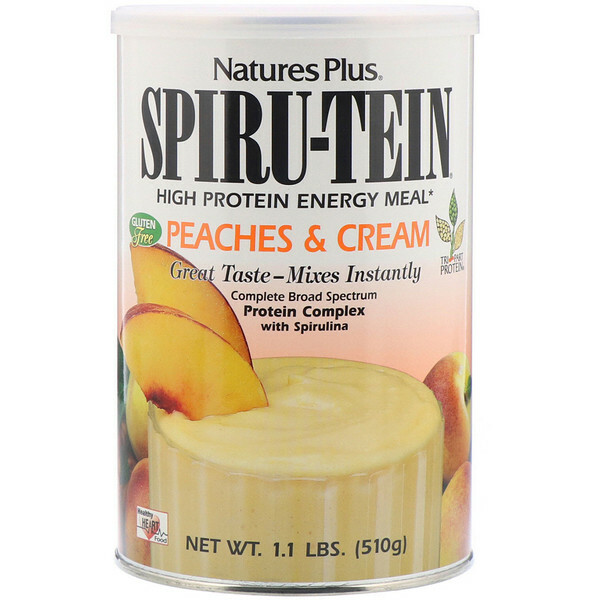 A serving of Spiru-Tein plus skim milk provides 0 g fat, 5 mg cholesterol, 193 mg sodium, 492 mg potassium, 26 g carbohydrate (21 g sugar) and 22 g protein.